I think that the new ordinance isn’t a bad idea. It may extend a few lives, including of those people who must breathe in second-hand smoke in situations such as waiting for buses at Kennedy Plaza. And there will be fewer cigarette butts and other smoking-related litter on the streets and sidewalks. 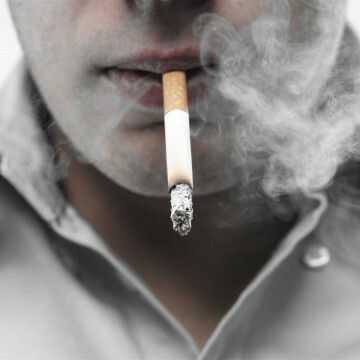 Smoking is self-medication for many mentally ill people, many, perhaps most of whom suffer from intense anxiety. Thus, assuming that the Providence police are willing and able to enforce the smoking ban, you might find fewer insane people hanging around downtown scaring some “normal people’’. That, presumably, would be good for most retail and other businesses. But in our unfortunate era of deinstitutionalization, where will the mentally ill go? I’d guess that many will simply move to the edge of downtown, to join the ones below my window at the corner of Orms and Charles streets. Now back to the scarier substance-abuse problem – opiate addiction and lethal overdoses. I was not at all surprised that young Jon Ossoff narrowly lost the 6th District Georgia congressional race to Republican Karen Handel last Tuesday. The traditionally very Red district, another triumphant example of ruthless Republican gerrymandering, was still the GOP’s to lose, whatever the many millions of dollars the Democrats pumped in. It will take a while to deconstruct the vote, but I suspect that the Democrats did not get quite the turnout that they’d hoped for. This would be another example of why, although in many national polls a majority of the public backs what are basically Democratic positions on health care and other big issues, the GOP, aided by the state legislatures doing the gerrymandering of congressional districts, does so well in campaigns. Consider the failure of the young, who lean heavily Democratic, to vote while people in their 50s and older vote heavily — most often for Republicans. That may continue as long as the GOP doesn’t threaten their Medicare and Social Security. The sloth of younger and thus Democratic-leaning voters in midterm congressional elections gets to the heart of the party’s problems. Consider, for example, that only 17 percent of Americans 18-24 voted in the 2014 elections, compared with 59 percent of those 65 and over! So the former should stop whining about the triumph of the corrupt Trump plutocracy. The older (or just old) Tea Party types (mostly men) who comprise, for example, the little group who denounce me every week in the Facebook comments at the bottom of this column, do vote. And some or most are retired and have plenty of time to denounce “socialists’’ and “elitists” in social-media posts while they take a break from the Fox News echo chambers. God bless ‘em! At least they’re not passive. Meanwhile, Democratic strategists must be wondering if they should have poured a lot more money into a special South Carolina congressional race, in another intensely gerrymandered and traditionally very Republican district. Democrat Archie Parnell came very close last Tuesday to winning that contest. He may have been a better candidate than the somewhat callow and too-mild Mr. Ossoff, who perhaps should have taken on the Trump regime with much more energy. The underlying demographic changes favor the Democrats but maybe they don’t deserve to win because so many of the folks calling themselves Democrats are too lazy to take 20 minutes to show up at the polls every couple of years. Oh yes, and the Democrats urgently need new leaders in the U.S. House. Number 1: Nancy Pelosi, 77, should retire as their leader – now! The party needs new faces to present to the public. They desperately require leaders with inspirational talents, organizational ability and pragmatism. They need to eloquently promote the interests of lower-and-middle-income people and push back hard against the plutocracy now in charge in the White House and in the Capitol. 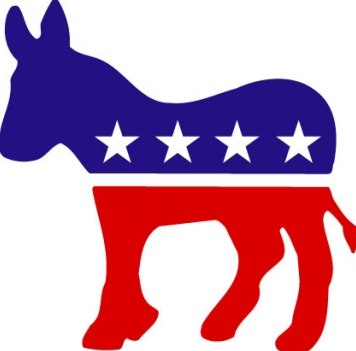 Meanwhile, some Democrats may be secretly hoping for a recession. Given the realities of business cycles (the current business expansion is very old) and other factors – among them China’s economic woes, Brexit and inflated technology stock prices — they may well get it next year. Ten percent unemployment would give the Democrats control of Congress in 2018, probably by a landslide. The Trump administration, in a sleeping bag with the oil and natural-gas sector, wants to hand out permits for large-scale seismic blasting up and down the Atlantic coast, from Delaware to Florida, to detect the presence of fossil fuel. Such blasting can injure or even kill such intelligent mammals as whales and dolphins and other marine animals. A plan to help maintain the 17-acre Rose Fitzgerald Kennedy Greenway, in downtown Boston, may be an example for upkeep of other public parks. Since property owners near the Greenway obviously benefit more than most people from this amenity, they’ve agreed to pay $1 million a year in a voluntary tax on the big buildings along the Greenway via a Business Improvement District that would defray the bulk of yearly maintenance. The idea is to let the state reduce its spending on the park to $750,000 a year by 2020 from the current $2 million. User taxes, including highway tolls, are very fair. You benefit; you pay. India Point Park, in Providence, is an example of where similar arrangements could be made to better maintain public spaces and save on local and state government spending. Certainly the Downtown Providence Improvement District has done fine work in making “Downcity’’ a lot more presentable than it was a couple of decades ago. President Trump’s latest tweet about North Korea: “While I greatly appreciate the efforts of President Xi & China to help with North Korea. It has not worked out. At least I know China tried!” Is he being sarcastic, sycophantic or just idiotic? China is keeping alive the murderous, truly evil North Korean regime. It has no interest in undermining it. 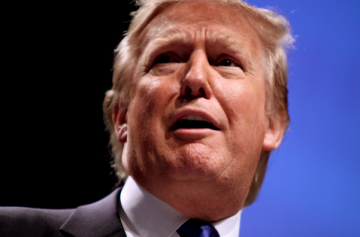 Last year, Mr. Trump frequently said how terrible China was. But since taking office, he’s been making nice with its dictatorship. If you want to know who the prime historical villains are in our exorbitantly expensive and convoluted health-care ‘’system,’’ look no further than the American Medical Association’s support, starting in the ‘40s, for a fee-for-service, private- insurance company model that would maximize physicians’ incomes. In tandem were the AMA’s successful efforts to prevent the creation of the sort of universal, government-backed health system that virtually all other developed nations have – and better health. This system has ensured that American physicians are the world’s highest paid although medical outcomes lag behind most other developed nations. Of course, in the ‘60s Medicare and Medicaid came along. But Medicare, trapped in the traditional fee-for-service model, was for decades a bonanza for doctors, until federal cost containment efforts in recent years. Yes, it was all about the money. Anti-Republican lunatic James Hodgkinson, who shot at a group of GOP politicians at a park in Alexandria, Va., gravely injuring House Majority Whip Steve Scalise, had 200 rounds of ammunition in a storage unit. That’s the sort of thing you’d expect in a nation whose gun laws are written by the National Rifle Association and their paymasters in the weapons biz, in collaboration with the Republican Party. I (and numerous family members) have owned guns all my life but the need to stock up on war-zone levels of ammo has eluded me. But then, I somehow forgot the potential joys of mass murder. As the United States withdraws from speaking out for human rights and democracy, the Chinese dictatorship moves in with piles of money. That money is already having sad effects. Consider that Greece has vetoed a European Union statement denouncing Chinese human-rights abuses in the wake of Greece recently getting billions of dollars in infrastructure investments from Beijing. Croatia and Hungary (the latter run by a semi-fascist president), also the beneficiary of massive Chinese spending, have also blocked E.U. statements on Chinese actions, including China’s attempt to take over the entire South China Sea. Each E.U. nation has veto power over statements meant to be the official E.U. position. Here at home we have the Confucius Institute problem. The Institute is affiliated with China’s Education Ministry and has the official aim to promote Chinese language and culture. But it is really a propaganda and intelligence office, a handy base for industrial and other espionage and a sturdy platform for the increasingly aggressive and expansionist dictatorship to keep in line Chinese students studying abroad. Their very presence tends to constrain intellectual freedom regarding things Chinese. Some U.S. colleges and universities, such as Rhode Island’s Bryant University, have partnered with the Institute satellites for the money and business connections they provide after they set up shop on American campuses. These Confucius Institute operations provide free (to the colleges) teachers and textbooks and cover operating costs. Some administrators and faculty members like them because they help bring in full-tuition-paying Chinese students and provide free and luxurious junkets to China to some administrators and faculty members. Such operations are inappropriate on American college campuses. Amazon’s plan to buy Whole Foods has elicited a lot of heavy breathing and assertions that Amazon will wipe out a lot of grocery stores. I think that these forecasts are exaggerated. Groceries – stuff that can rot – are not the same things as books and clothes. The distribution challenges are very different. Most people will continue to drive or walk to a regular (not high-end, expensive “organic”) supermarket or small grocery store for the foreseeable future. Inflation-adjusted wages have been falling for most people. The market for expensive (and some would say pretentious) food is unlikely to vastly expand. For all its alleged glamour, most people don’t shop at the expensive likes of Whole Foods – and never will. An Amazon-Whole Foods mating might work very well in densely populated affluent areas with a close enough proximity to warehouses to ensure that the stuff can be delivered unspoiled to Amazon-Whole Foods supermarkets or to your home. But it wouldn’t work well in thinly populated areas. Finally, even in this plutocratic age, it’s possible that the Federal Trade Commission and the U.S. Justice Department will awake from their all-too-frequent torpor and press monopoly charges against the company if it tries to take over a big hunk of the grocery business. Anyway, I’m more worried about the effects on employment and wages of the automation of cashier and other jobs now underway in many kinds of stores than about Amazon specifically (I always use cashiers, not those machines, in a tiny effort to help preserve jobs.) And I worry about the effects on local tax revenue and jobs from so many stores of all kinds closing because of the online revolution. I have enjoyed the spectacle of the very gentlemanly and politically fluid Warwick Mayor for Life Scott Avedisian reveling in the additional airlines now using T.F. Green Airport, including some finally offering service to Europe. This comes after he had spent so many years hurting the airport and the state’s economy by siding with a small group of homeowners determined to keep the state from extending a runway at the airport and/or forcing the state to pay them exorbitant amounts to make way for the longer runway. The airport, incidentally, has been there since 1928. Area residents presumably got a discount on their house purchase prices because of its presence. Airports are noisy. Perhaps luckily for him, Americans’ historical memory has dwindled to nanoseconds. Probably the really big expansion at Green will take place next year after the outrageously delayed runway extension is completed, allowing direct flights to California and more flights to Europe, including Eastern Europe. Bronnie Ware, an Australian nurse and counselor who has spent much time with dying people, has written a book called The Top Five Regrets of the Dying –A Life Transformed by the Dearly Departing. Born in France, educated at Harvard, Grosvenor has been the head of the art department at St. George’s for decades. A brilliant water colorist, Grosvenor was selected by the White House Historical Society to paint a scene of the White House for their bi-centennial calendar for the year 2000. 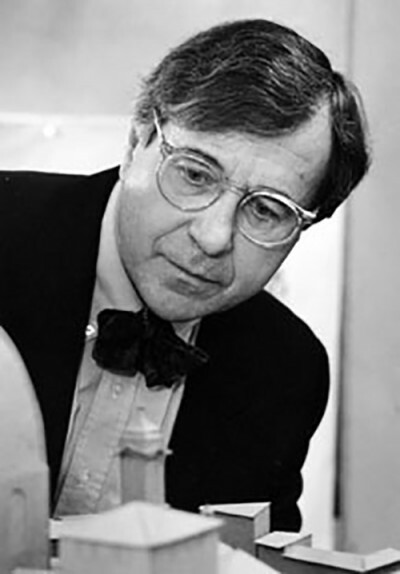 That same year, the Newport Art Museum honored Grosvenor with a 50-year retrospective of his artwork. Grosvenor was also commissioned by the Tall Ships Committee to create an oil painting commemorating the Tall Ships’ visit to Newport in 2000. Paz, formerly Pazienza, fought 60 professional bouts at the Lightweight, Light Middleweight and Super Middleweight weight classes. He won the IBF World Lightweight Championship. His overall record was 50 and 10, and he fought in one of the golden ages of boxing. He fought Roberto Duran, Roy Jones, Jr., and Joe Frazier, Jr..
Far from perfect, he has been arrested a number of times on a range of charges. 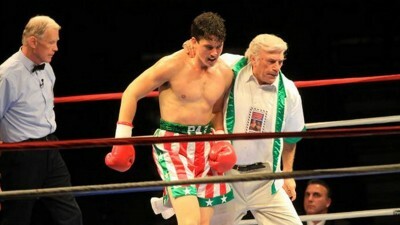 His colorful life story is the subject of a feature movie, “Bleed for This,” developed by Executive Producer Martin Scorcese. 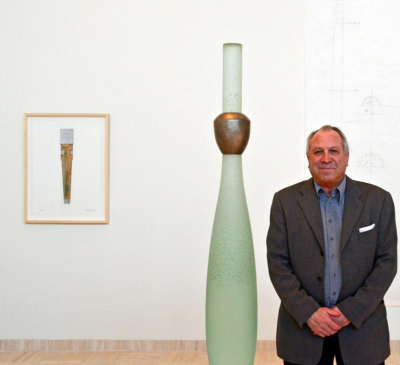 Ben Tré is a world leader in innovating cast glass as a sculptural medium, and his work has been exhibited at more than 100 museum and public collections worldwide — and his studio is located in Pawtucket, RI. His works have been at the Metropolitan Museum of Art; the Museum of Fine Arts, Boston; the Philadelphia Museum of Art; the Albright-Knox Art Gallery, Buffalo, NY; the Hirshhorn Museum and Sculpture Garden; the Renwick Gallery of the Smithsonian Institution; the Los Angeles County Museum of Art; the Museum of Fine Art, Houston; the National Museum of Modern Art, Kyoto; and the Museum of Modern and Contemporary Art, Nice. Reynolds’ books use sports as the framework, but are deeper examinations of poverty, race, and addiction. His book “Fall River Dreams” defined him a leading American writer who uniquely captures the intersection of sports and culture. “Bill Reynolds is one of the best writers around, and this book is the Friday Night Lights of high school basketball,” said Dan Shaughnessy of the Boston Globe. “Success is a Choice,” which he co-wrote with Rick Pitino, is a business “how to” book that was a New York Times best-seller. 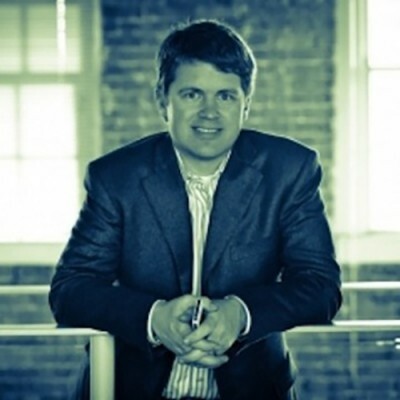 Reynolds has written 11 books and is a sports reporter for the Providence Journal. 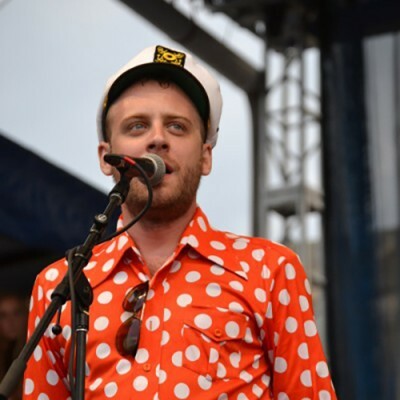 McCauley has been a leading voice in the alternative, indie rock sphere for more than a decade. His work is a mix of rock with folk, blues, and country influences. Along with his band, McCauley won Rock Artist of the Year at the Boston Music Awards (beating out Aerosmith) in 2013. He is married to fellow musician Vanessa Carlton — Stevie Nicks officiated their wedding. With Deer Tick he has produced five albums. He created one of the most innovative university curriculums in America while he was an undergraduate at Brown, and went on to a Rhodes Scholarship at Oxford. Today, he serves as the vice chairman and chief executive officer of the Clinton Health Access Initiative (CHAI). His son Seth is RI’s General Treasurer. Few business innovators in America have had the success of native Rhode Islander Davis. He co-founded Tellme, raised raised more than $200M in capital, and helped to lead the company to more than $100 million in sales and 300 employees. Tellme was acquired by Microsoft for nearly $1 billion. Now, he is trying to do it again with Upserve, formerly Swipely. The company is “the smart management assistant serving up clear guidance that makes your restaurant thrive” – a tech firm that creates an information infrastructure for restaurants. He has raised upwards of $50 million for Upserve. Davis is a leading American business thinker — all before the age of 40. If the Navy SEALs are the best trained and most respected in the United State Armed Forces, Moy is the “Mother” of the SEALs. The Newport native is the embodiment of military lore. He was a famous SEAL instructor and one of his most infamous trainees was Jesse “The Body” Venture – Seal, professional Wrestler and Governor of Minnesota. 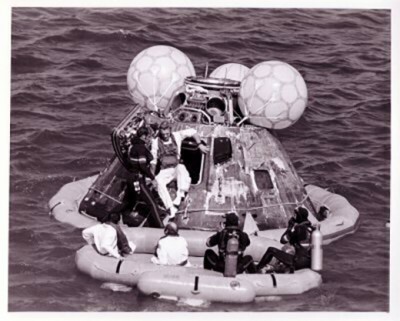 While most SEAL activity is undisclosed, his effort to recover Apollo 17 was globally broadcast. Once dubbed the Godfather of Ethics Reform, West has been the driving force in reforming governmental ethics for three decades in Rhode Island. His successes include a then-record fine against Governor Ed DiPrete, Separation of Powers, downsizing and modernizing the legislature, and the requirement of electronic filing of bills and making hearings accessible to the public. 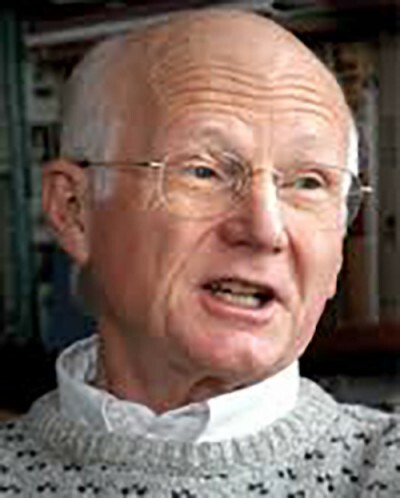 He was the head of Common Cause RI for eighteen years and retired in 2006, but still remains a guiding force in reform. Two years ago, the master lever was eliminated and this year major ethics reform is moving through the General Assembly — all under the watchful eye of West. West has taken on the most powerful forces — sometimes alone — and made Rhode Island a better place as a result. His formative acting years took place at Trinity Repertory Company (now Trinity Rep). Jenkins then returned later in his career to help save the financially struggling theater. He has starred and appeared in more than 80 movies and television series or movies. In 2014, Jenkins and his wife Sharon received the Pell Award for Lifetime Achievement from Trinity Repertory Company in Providence. The former CEO and Chairman of Hasbro was a driving force in transforming the company from a toy manufacturer to an entertainment company. Michael Jackson and slews of others came to Rhode Island to tour the company and negotiate licensing deals. In the early 1990’s he became a force in initiating ethics reform in Rhode Island. 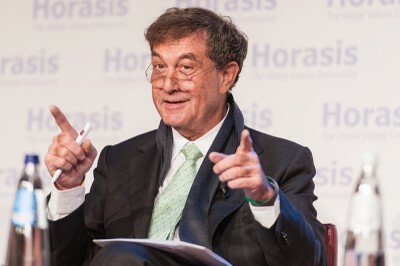 More recently, he endowed the creation of the Hassenfeld Institute for Public Leadership at Bryant University. The Rhode Island-based Hassenfeld Foundation gave out roughly $4.7 million in donations in the most recently reported year. 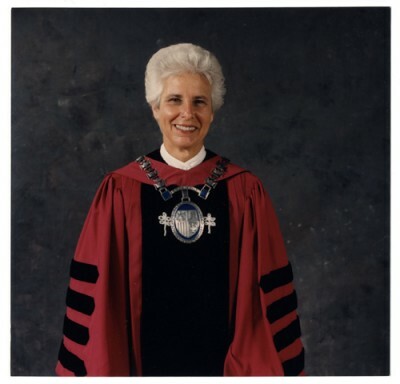 Sister Antone was born in Central Falls, and educated at Salve Regina University, Villanova University, Harvard University and MIT Sloan School of Management. Correspondingly, she has taught almost every level of education, rising to President of Salve Regina. There, she transformed the school, and Salve Regina’s national rankings and student profile vastly improved under her leadership. During her tenure, the University’s endowment grew from $1 million to more than $50 million and the University invested $76 million on renovations and expansions and has received numerous awards for restoring the historic mansions, cottages, and gatehouses on its campus. She transformed the University and correspondingly has won countless awards for her service. 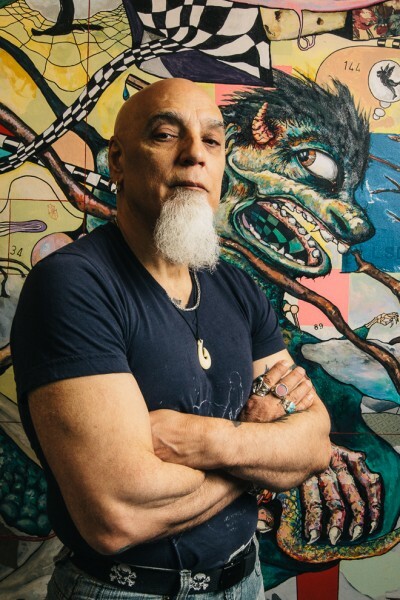 Artist, visionary and business leader, Crenca took a crazy idea of developing a sustainable art cluster in Downtown Providence and made it the most unimaginable success, and has become a national model. AS220 was founded in 1985 to “provide a local, unjuried, and uncensored home for the arts,” and has grown to own and operate multiple facilities, currently providing fifty eight artist live and/or work spaces, four exhibition spaces, a print shop, a media lab including a black and white darkroom, a fabrication lab, a stage, a recording studio, a black box theater, a dance studio, and a bar and restaurant. In 2016, Crenca was awarded Honorary Degrees from two different Rhode Island Universities. 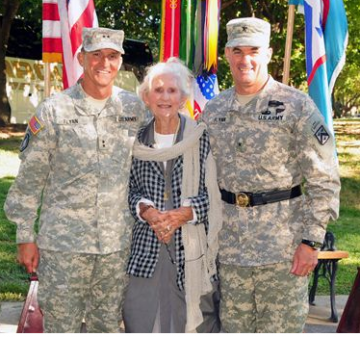 In the history of the modern U.S. Military, there are only a handful of brothers that served as Generals simultaneously — Charlie and Michael Flynn of Middletown were one such case. Michael Flynn recently retired from service, and has been seen on “Morning Joe” on MSNBC — not surprising, given the latest news. “A surprise name on the list is retired Lt. Gen. Michael Flynn, a national security adviser to Trump who has emerged as one of the most buzzed-about veep contenders, sources familiar with the deliberations said. Regardless of his national political future, these two brothers are two of America’s most accomplished military leaders in the past half century. When one talks about trail blazers in Rhode Island, Louise Durfee’s image should be the first thing that comes to mind. She was the first female partner at a major Providence law firm at a time when most law firms did not employ women attorneys. 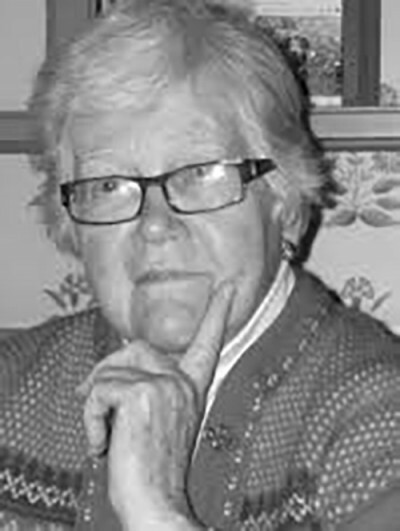 She was one of a small group of Tiverton residents who joined together in the early 1970’s to oppose a proposal to build a major oil refinery. The fight was so profound that it was featured in 1971 in Life Magazine and resulted in the founding of an organization that ultimately became Save the Bay. Again, Durfee the trail blazer. In the 1980’s she helped to clean up the aftermath at Rhode Housing after widespread corruption was found. In 1991, Governor Bruce Sundlun named her Director of the Department of Environmental Management and just three years later, he fired her. So she ran against him in the Democratic primary for Governor. Rhode Islanders were first introduced to Ron Machtley in 1988 when he traveled around Rhode Island with a pig named Lester “Less” Pork to point out the wasteful spending of then-Congressman Fred St. Germain. Machtley upset the 28-year veteran and Chairman of the House Banking Committee to take the Congressional seat. In 1994, he was the odds-on-favorite to win the Governorship, but was upset in the GOP primary by Lincoln Almond, who went on to serve eight years as Governor. After his defeat, he was the surprise choice to serve as President of then-Bryant College. At first appearances it was a strange choice, but Machtley could not have turned out to be a better selection. Under his leadership, the college transformed to a University, with massive improvements in the University’s campus, an elevation to Division I Sports, and an overall improvement in Bryant’s academic position. 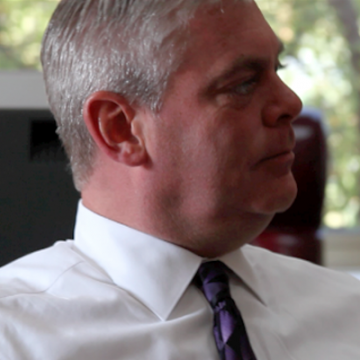 When he assumed office Bryant had a $1.7 million operating deficit and a tiny endowment. Today, the University’s endowment is nearing $200 million. Over the past 20 years, Bryant has become one of the most improved higher education institutions in America. If this list of greatest living Rhode Islanders had been developed twenty years ago, it might have been rich with elected officials – the likes of Senators Claiborne Pell and John Chafee, the retired John O. Pastore and Bruce Sundlun, but today there are few with the gravitas of achievement of those politicians. However, there is the now-senior Senator from Rhode Island, who has a national reputation as an expert on issues of national defense and is a constantly rumored to serve as the Secretary of Defense. The former Army ranger worked his way up the political ladder as a State legislator and Congressman before winning the Senate seat of the retiring Pell. In a time of great diverseness, he is a rare member that has conversations across the aisle. Coxe has now headed three of the most most important preservation organizations in New England. As the long-time Executive Director of Save the Bay in the 1980’s and 1990’s, she was a powerful force in driving the preservation of Rhode Island’s open space and improvements to Narragansett Bay. 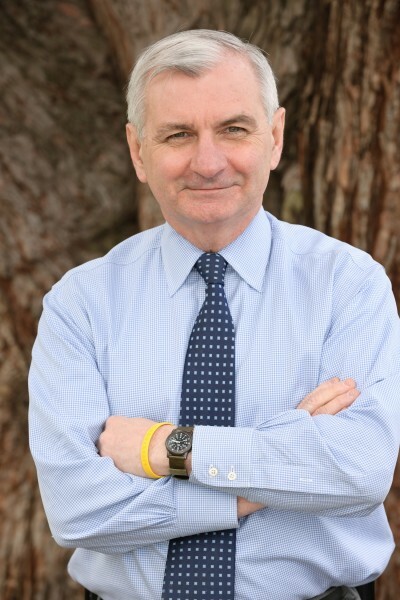 Coxe lost a close race for Congress against Jack Reed, but was later appointed head of the largest Environmental Agency in New England when then-Governor Bill Weld named her head of the Massachusetts environmental agency – the Department of Environmental Protection. After a multi-year stint in the Commonwealth, she came back to Rhode Island to lead and transform the Preservation Society of Newport. In that role she has helped to recpaitalize and modernize the non-profit that stewards the mansions and other assets in Newport and across Aquidneck Island. No one on this list may be more accomplished in their individual field than Ken Read is to sailing. 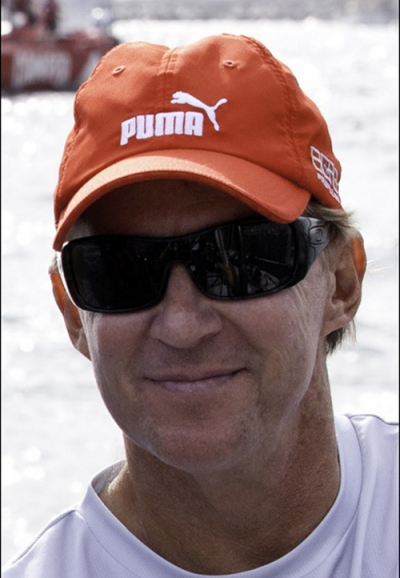 Twice the Rolex United States Yachtsman of the Year, three times leading America’s Cup yachts, and dominant in the Volvo Ocean Races for decades. One could argue Read may be the most accomplished sailor in the world. 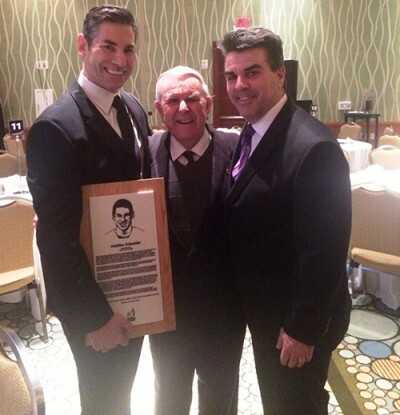 He was a three-time college All-American at Boston University. 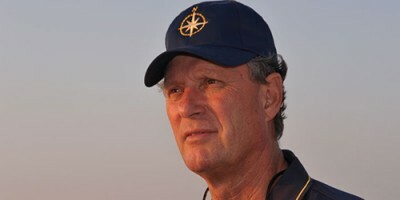 Today, he sails leading privately owned yachts and has been involved with the North Sail company. He leads an effort called Humanity-Centered Robotics Initiative (HCRI) in which Brown University aims to become a global leader in the field of creating robots that benefit, learn from, teach, support, and collaborate with people. His commercial was easier to understand — it has been viewed 550,000 times. For decades the nicest restaurant in Providence might have been the old Rusty Scupper, but in the 1980’s, Johanne Killeen and George Germon not only transformed the restaurant scene in Providence, but also proved that small cities with brilliant chefs could compete. Food & Wine honored Al Forno for launching ‘a new era of ambitious cooking in Providence [in 1980] with their thin-crusted grilled pizzas topped with superfresh ingredients.’ The editors singled out Al Forno’s Margarita Pizza (with house-made pomodoro, fresh herbs, two cheeses and extra virgin olive oil) as the signature item. John Mariani, the food writer for Esquire put the new restaurant, Al Forno, on the national map by naming it the best new restaurant in America. Other food and travel magazines followed and the recognition transformed Providence, and as a result other mid-sized cities. 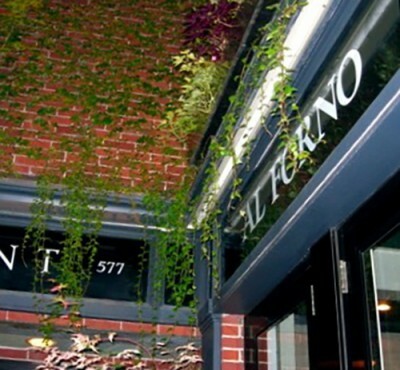 Al Forno put Providence on the food map and sparked many other creative and smart chefs. 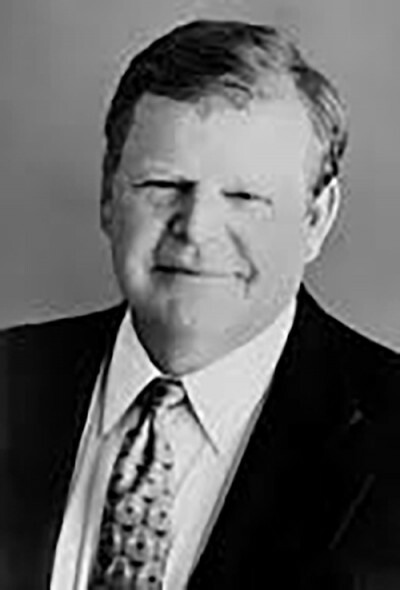 George Germon passed away in October of 2015. It has been a number of years since Terry Murray ran one of the biggest banks in America. 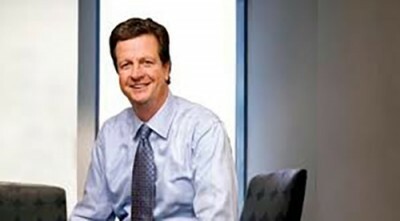 In 2004, Fleet Bank was acquired by Bank of America. Even today, Bank of America is headed up by a former Fleet executive — Brian Moynihan. In the 1990’s, Fleet was a superstar financial service firm — it gobbled up bank after bank in the U.S. and in 1999 Murray and Fleet made the biggest buy – acquiring BankBoston. The new FleetBoston was a megabank. FleetBoston was the seventh-largest bank in the United States, as measured by assets (US$197 billion in 2003). It employed over 50,000, served more than 20 million customers globally, and revenues of $12 billion per year. Murray grew Fleet from a small RI community bank to a global player. 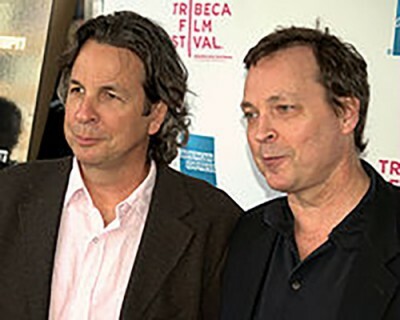 The Cumberland brothers – Peter and Bobby – are two of the most prolific comedic movie makers in Hollywood. They created a genre of politically incorrect, slapstick humor that has generated billions in box office sales. Their movies include Kingpin, There’s Something About Mary and Dumb and Dumber — to name a few of their 15 movies. In 1965 Thompson came to Providence from South Carolina to attend Brown University and never went home. Today, she serves on the 1st Circuit Court of Appeals – one of the highest federal courts in America. She was elevated to the seat previously held by Judge Bruce Selya. Before serving on the court she served on the District and Superior Courts in the Rhode Island Courts. Today, she serves on the Brown Corporation, the Board for College Unbound and Save the Bay. “With a face that launched a thousand spliffs, ‘The Package’ has skated, surfed, and partied over the last 50 years with no end in sight. After reaching rockstar status with Big World in the mid ’80s, Sid’s infamous Water Bros. Surf shop brought vert skating to the beaches of Newport, RI,” wrote Jim Murphy in Juice Magazine. Before ESPN’s X Games (Extreme Games) or the Gravity Games were envisioned, Abruzzi was an innovator helping to create a movement and industry that was primarily a West Coast phenomenon. The blues guitarist and Woonsocket native is well-known locally for co-founding Roomful of Blues, but his presence on the national stage, performing with The Fabulous Thunderbirds and recording with the likes of Bob Dylan and Tom Waits has helped make Robillard a bona fide star in American music. “A jazz man, a front porch pickin’ blues man and one-time guitarist for Dylan. A string band, jug band, ragtime, delta, Louisiana, Appalachian folk and Jimmie Rodgers-country aficionado. A backwards traveler, but forward thinker. A writer and singer with distinct style, and a studio owner and in-demand producer. Did I miss anything? 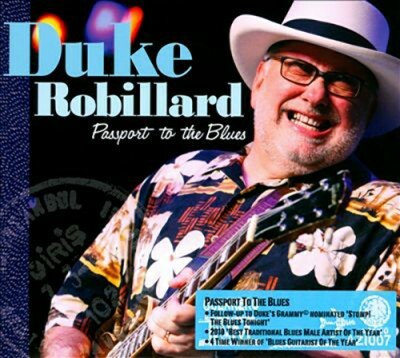 Duke Robillard may wear a handsome, if nondescript, lid lounging on the cover of The Acoustic Blues,but he almost literally wears a hundred hats—all of them damn well. It’s hard to believe any one man can be as prolific as this Rhode Island Duke of the blues,” wrote Clarke. Ghiorse may be Rhode Island’s most trusted and beloved television and digital news personality of all time. The Air Force Veteran and Harvard educated weatherman studied Meteorology at Penn State. He transformed weather reporting in Rhode Island and created his own branded measure — the Ghiorse Factor. He first joined WJAR-10 in 1968, then moved to Channel 6 for nearly a decade and then back to WJAR. 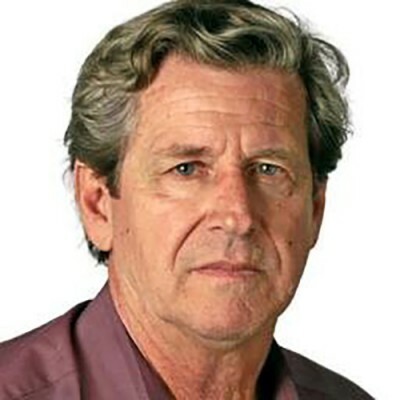 He retired from Channel 10 in 2009 and joined GoLocal and helped the digital media company launch its first site in 2010. 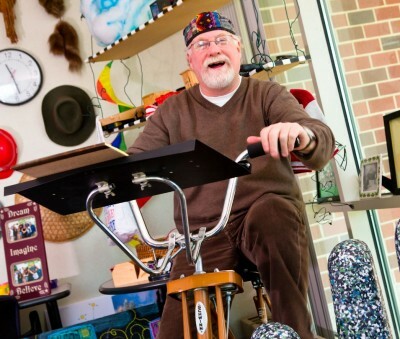 He has delivered the daily Ghiorse Factor to GoLocal for the past five plus years. Ghiorse continues to be one of Southeastern New England’s most beloved news personalities. If you have watched Saturday Night Live, the Tonight Show with Jimmy Fallon or many a production of A Christmas Carol at Trinity Rep, you have seen the work of Eugene Lee. He is one of America’s most creative and accomplished set designers. The Providence resident has won three Tonys for Wicked, Sweeney Todd, and Candide. He has won multiple Drama Desk Awards for Outstanding Set Design and has won an Emmy for the design of the set for Saturday Night Live. He is a member of the American Theater Hall of Fame. Rhode Island has always been one of the top destinations for Cape Verde emigres — and next month, Emerson College Professor and Brown University Fellow Andrade-Watkins, who grew up in Fox Point, will have a thirty year retrospective of her work at the Museum of Fine Arts in Boston. 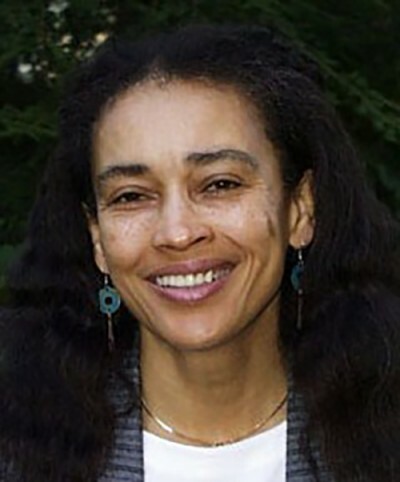 Andrade-Watkins, a PhD, is Professor of Africana and Postcolonial Media Studies at Emerson, and is a Fellow at the Swearer Center for Public Service at Brown (as well as a visiting scholar). She is the Director of the Fox Point Cape Verdean Project, President, SPIA Media Productions, Inc., and a pioneer of global, intercultural media, marketing and distribution. Her CV of work and accomplishments is 17 pages long. In 2006 Dr. Andrade-Watkins released “Some Kind of Funny Porto Rican?” A Cape Verdean American Story” (SKFPR), the “popular and critically acclaimed feature documentary about the Cape Verdean community in the Fox Point section of Providence, RI, and the first in a trilogy of documentaries about this unique and important community of the Africana Diaspora,” states her Emerson bio. She’s won numerous awards including the 2008 Community Service Award from Fox Point Boys & Girls Club Alumni Association. St. Florian is one of the most accomplished and varied architects in America. At one extreme he was the architect of the critically acclaimed World War II memorial in Washington, DC and on the other he designed the Providence Place Mall. St.Florian has won numerous awards for his architectural achievements. 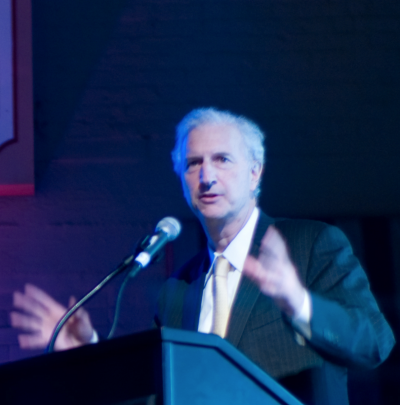 He is a Fellow of the American Institute of Architects and a Fellow of the American Academy in Rome. His drawings are in the permanent collection of the Museum of Modern Art in New York and the Georges Pompidou Centre in Paris. 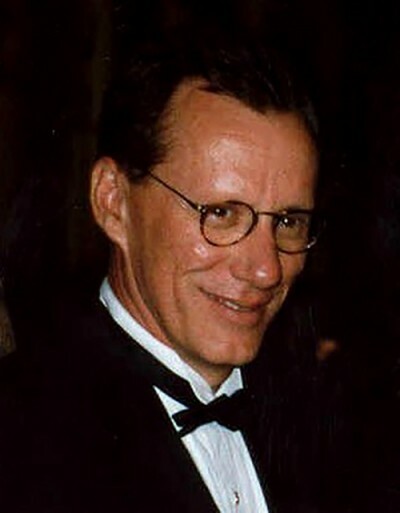 In 2006 he was an awarded an honorary degree from Brown University. 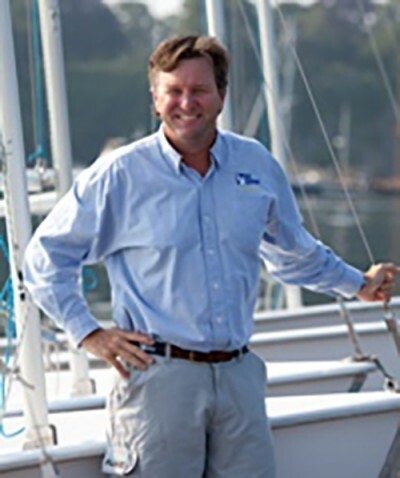 Over the past few decades, Brad Read has built Sail Newport into a leading world class sailing education organization. Their programs vary from a partnership with the MET school that introduces urban children to sailing to running world class sailing events. In 2015, Read was the driving force to bringing the Volvo Ocean Race to Rhode Island and then followed it up by leading the state’s effort to successfully bring the Volvo race back in 2017. 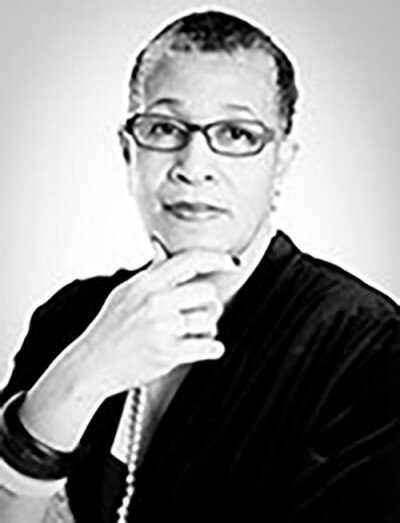 Read is a leading sailor, educator, facilitator, organizer and leader. His impact on Newport — and Rhode Island — has been remarkable. Matt Damon aside, Wood is one of America’s most accomplished scholars on the American Revolution — he won the 1993 Pulitzer Prize for History for his work The Radicalism of the American Revolution. In 2010 he was awarded the National Humanities Medal. He is the Alva O. Way University Professor and Professor of History Emeritus at Brown University. His list of academic awards over the past 50 years is unmatched – he is the leading Revolutionary era historian. 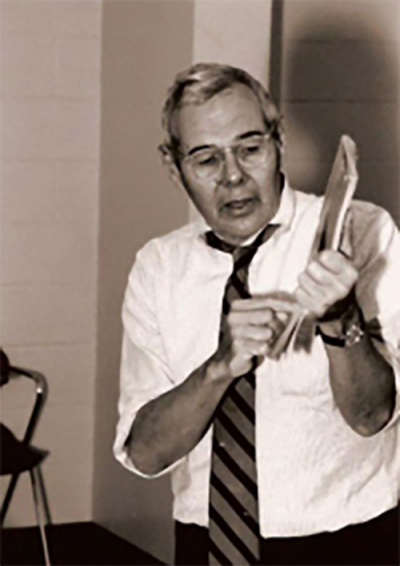 For the past 60 years Hazeltine has been one of the most important educators at Brown University. While Brown does not have a traditional B-School like Penn’s Wharton, it does have one of the top American business mentors. According to many of the top business leaders in America, Hazeltine was a guiding influence on their careers. A 2000 article in Brown Alumni Monthly unveiled in 2000 that 10% of the freshman class at Brown University took his “Engin. 9” class — short for Engineering 9. Entrepreneurs as diverse as “Tom and Tom” (First and Scott, who met at Brown), Founders of Nantucket Nectars to John Koudounis, the CEO of Calamos Investment to Marques Coleman at Carlyle Group all identify Hazeltine as being a driving force in their business careers. 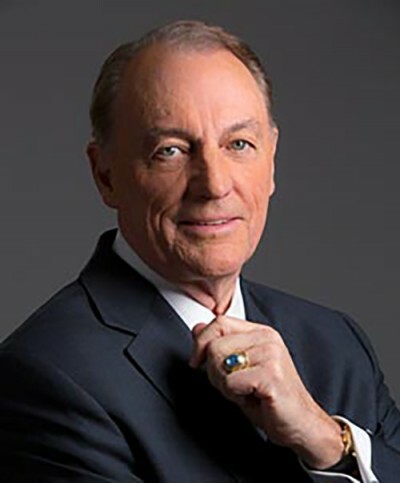 Donoghue is one of the leading brain science researchers and entrepreneurs in the world. 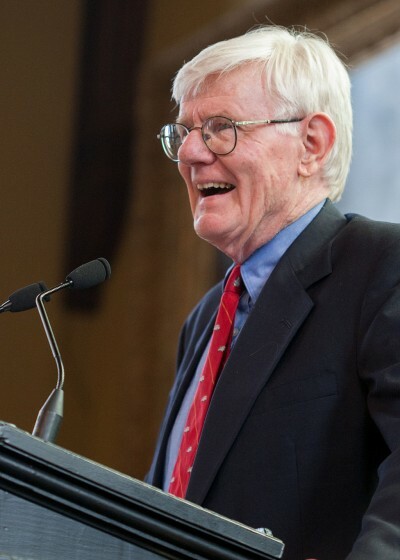 At Brown, he led the enhancement and growth of the Brain Science Center and his work to develop BrainGate, a mind-to-movement system developed in Donoghue’s lab. Donoghue has published over 80 scientific articles in leading journals including Nature and Science. His work was featured on 60 Minutes and he has served on advisory panels for the National Institutes of Health, the National Science Foundation and NASA. Presently, he is on sabbatical in Europe. The Warwick native is a two-time Academy award nominee and winner of a Golden Globe, and three time Emmy Award winner. His acting career ranges from The Onion Field to Casino and Nixon. More recently his voice work has been featured on The Simpsons, Family Guy, and Stuart Little 2. Between TV, voiceover work and movies he has played roles in more than 100 productions. Once dubbed as a genius by Business Insider for his attendance at MIT and his reported near perfect SAT score and IQ of 184. Today he is a Republican activist and supported Ted Cruz for President. Violet was one of a group of pioneering women who changed the face of politics in Rhode Island. 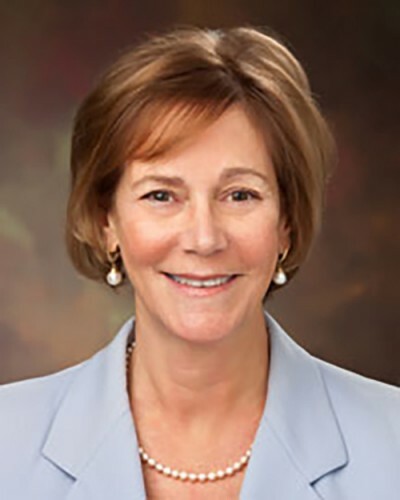 Claudine Schneider had been elected to the U.S. House of Representatives in 1980 in the 2nd Congressional District. 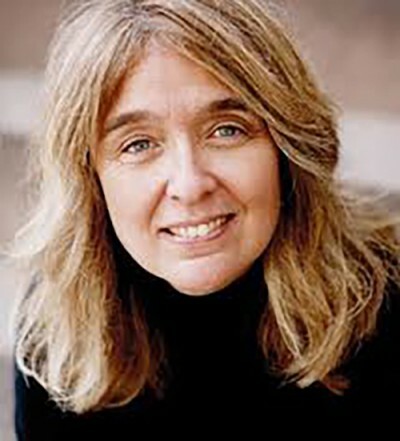 Susan Farmer won the Secretary of State post two years later in 1982. 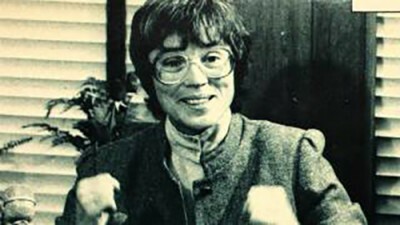 Violet was the first female Attorney General in the United States when she was elected by Rhode Island voters in 1984. The new decade had ushered in a new era in Rhode Island politics. All three were Republicans. It was her work and the work of other women that set the stage for Governor Gina Raimondo to be elected Rhode Island’s first woman Governor in 2014. Violet was beat in her re-election bid in 1986, but her political presence continued in the state. She was a talk radio host. She penned two books, Convictions: My Journey from the Convent to the Courtroom and Me and the Mob, a book about the witness protection program. Violet was inducted into the Rhode Island Heritage Hall of Fame in 1996. A native Rhode Islander, TV-journalist Vieira is one of the leading Portuguese Americans in the United States. She attended Lincoln School and Tufts before landing her first job in Worcester in radio and on television as a reporter at WJAR-TV in Providence. Her hard news journalism bona fides were earned while working on the CBS news magazine West 57th, then as an investigative report for 60 Minutes. Then in the late 1990s she shifted to more entertainment focused broadcast as a co-host to The View, hosting the game show “Who Wants To Be A Millionaire,” co-hosting the Today Show and Dateline NBC. 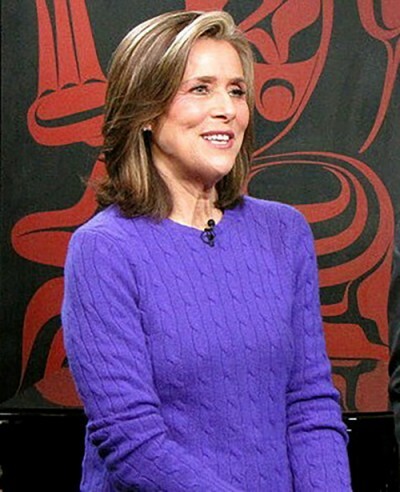 She hosted her own show, The Meredith Viera Show for two years. More recently she has been involved with a range of event and initiatives in Rhode Island including speaking at RIC regarding her heritage — all four of her grandparents were born in the Azores. Last year, URI’s Harrington School of Communication traveled down to Viera’s show at NBC Universal. 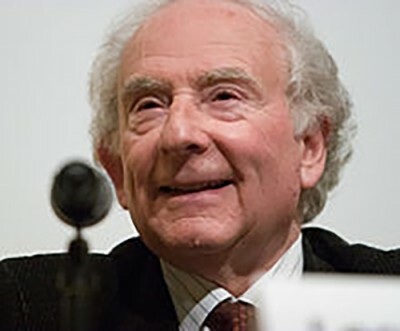 Leon Cooper is Brown University and Rhode Island’s only Nobel Prize winner. Cooper won the Nobel Prize in 1972 for Physics (along with J. Bardeen and J.R. Schrieffer) for his studies on the theory of superconductivity. The winning work was completed while still in his 20s. 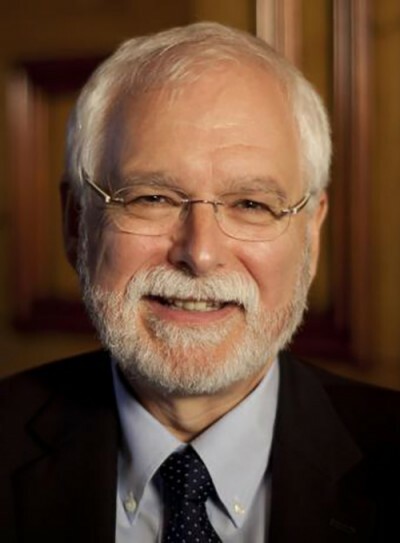 He has received seven honorary degrees from leading academic institutions from across the globe. There are certain athletes who transcend the game and elevate it from sports to a higher level of entertainment. 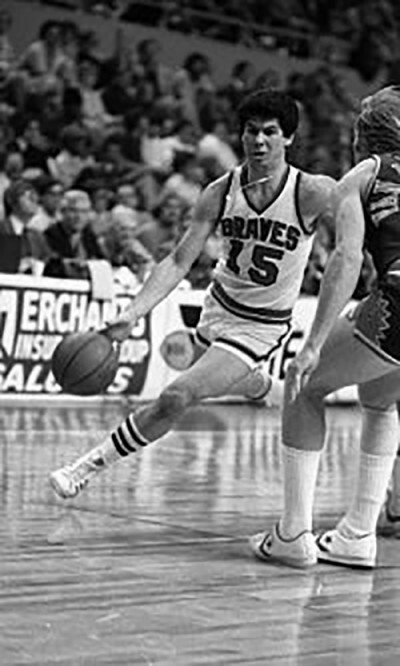 Ernie D. was one of those rare athletes. He was am epic story, the 6 foot guard from North Providence who helped to take the beloved Providence College Friars to the final four. His skills and showmanship helped to transform the game from fundamentals to entertainment along with players like Connie Hawkins, Pistol Pete Maravich, Dr. J, and then Larry Bird, Magic Johnson and Michael Jordan. They all may have had better and longer careers, but none of them put on any better a show. His NBA career was cut short due to injury but in his first year in the league he dazzled and won the NBA Rookie of the year. He was the third pick in the NBA draft. For Rhode Islanders at the time his achievements were mythical. He teamed with fellow local boy Marvin Barnes and put little Providence College in the same sentence with powerhouse programs like UCLA. Arguably the best swimmer to come out of Rhode Island, the Saunderstown native and North Kingstown high school grad first competed in the 2007 World Championships at the tender age of 14, placing 12th in the world in the 200 meter backstroke after advancing to the semi-finals. Beisel was the youngest member of the U.S. swim team at the 2008 Olympics in Beijing, finishing just out of medal contention with a fourth place in the 400-meter individual medley and fifth in the 200 meter backstroke. Four years later in London, Beisel made it to the Olympic podium with a silver in the 400 meter individual relay and a bronze in the 200 meter backstroke. 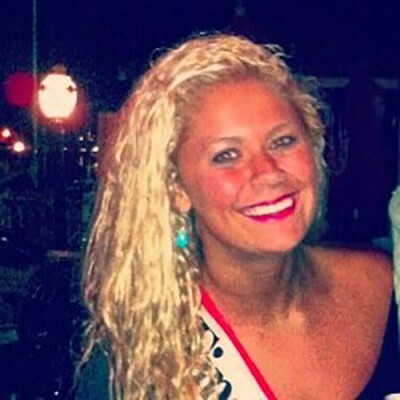 The SEC Female Swimmer of the Year in 2012, Beisel won two individual national titles and was an eighteen-time All-American at the University of Florida, and a first-team Academic All-American. According to her USA Swimming bio, the college communications major had dreams as a child of being an actress, but now has professional aspirations of being a news anchor. As someone accustomed to being in the headlines, it’s not hard to imagine we’ll be seeing more from Beisel in the future. The Newport Jazz and Folk Festivals would not be among the top American music festivals were it not for Wein, who celebrated his 90th birthday last year. 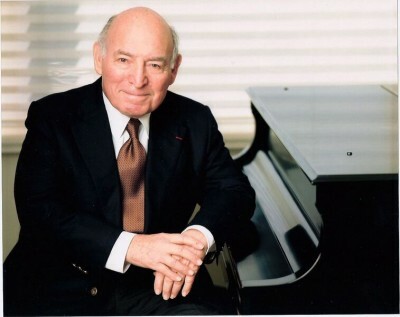 Trained as a jazz pianist, Wein might be Boston-born and educated, but it was the Newport Lorillards who invited Wein down in 1954 to the City by the Sea to establish the first outdoor jazz festival in the country. Wein went on to form Festival Productions to promote large-scale jazz events, and has been well-lauded for his efforts — both nationally, and internationally. In 1995, Wein received the Patron of the Arts Award from the Studio Museum of Harlem, and in 2004 given an Impact Award from the AARP. He was decorated with France’s Légion d’honneur and appointed a Commandeur de L’Ordre des Arts et Lettres (Commander of the Order of Arts and Literature) by the French government, and has been honored at the White House twice, by Jimmy Carter in 1978 and Bill Clinton in 1993. In 2005 he was named a “Jazz Master” by the National Endowment for the Arts. He has received honorary degrees from the Berklee College of Music and Rhode Island College of Music. 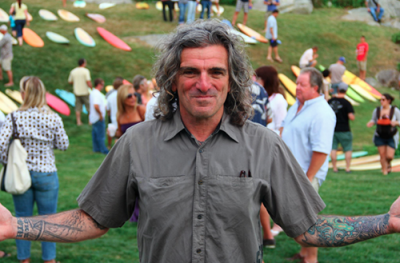 GoLocal’s Ken Abrams sat down with Wein for a one-on-one last summer — read more here. Grammy Award-winning Osborne, born and raised in Providence, came from musical lineage. His father, Clarence “Legs” Osborne was a trumpeter who played with the likes of Duke Ellington and Count Basie. 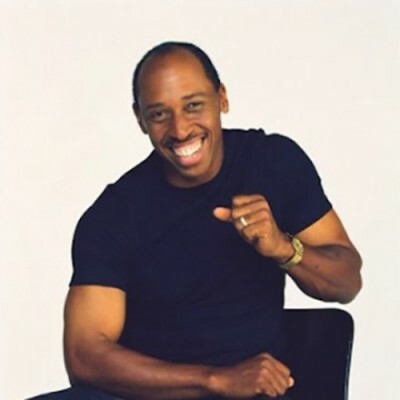 And the Osborne roots are firmly planted here — in 2012, the city named a portion of Olney Street “Jeffrey Osborne Way,” to honor him. Osborne’s biggest hits include “On the Wings of Love” and a duet with Dionne Warwick, “Love Power.” He wrote the lyrics for Whitney Houston’s “All at Once,” appeared in the fundraising “We Are the World” video in 1985, and has sung the national anthem at multiple World Series and NBA finals games. While Osborne is an international legend in his own right, his star status continues to grow and impact the community here through his charity work. He’s done golf and softball classics, comedy nights, celebrity basketball games. And he brings in the big names, from Magic Johnson to Smokey Robinson to Kareem Abdul Jabbar — the list is extensive. Osborne is the epitome of a “greatest Rhode Islander” — one who’s gone on to make the state proud, and keeps coming back to help use his celebrity to benefit the community. Ryan helped to build one of America’s Fortune 500 top 10 companies, as CVS is a leading retail and healthcare force in America. More recently, the URI pharmacy grad has been involved with two of the biggest initiatives in Rhode Island in the past few years. He and his wife Anne donated $15 million to fund the George and Anne Ryan Center on Neuroscience at URI. The effort is one of the key elements in bringing together major educational and health organizations in a broad-based neuroscience initiative in Rhode Island. Ryan’s neuroscience gift coupled with his fundraising leadership and donations to build the Ryan Center have made him the single biggest individual donor to URI. Born in West Warwick and a URI grad, Hood is a best-selling novelist and short story writer; and the author of fifteen books, with her latest, The Book That Matters the Most, due out this August. 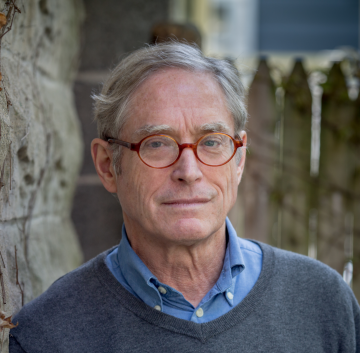 Hood has won two Pushcart Prizes, two Best American Food Writing Awards, Best American Spiritual Writing and Travel Writing Awards, and a Boston Public Library Literary Light Award. Her essays and short stories have appeared in The Paris Review, Ploughshares, and Tin House. Hood is a regular contributor to The New York Times’ Op-Ed page, and is a faculty member in the MFA in Creative Writing program at The New School in New York City. Hood’s “An Italian Wife” was recently featured as a play at the Contemporary Theater Company in South Kingstown. Of Hood’s The Knitting Circle, The Washington Post wrote, “A wondrously simple book about something complicated: the nearly unendurable process of enduring a great loss.” Fellow best-selling writer Jodi Picoult even asked if anyone could top Hood. “Is there anyone who can write about the connections of ordinary people better than Ann Hood?” posed Picoult. While her reach is worldwide, Hood, who is married to businessman Lorne Adrain, lives in Providence and is a fixture in the Rhode Island community. Ballard found the Titanic. And yes, he was a URI undergrad and now serves multiple leading roles at URI as a Professor of Oceanography; Director, Center for Ocean Exploration; and head of the Institute for Archaeological Oceanography. 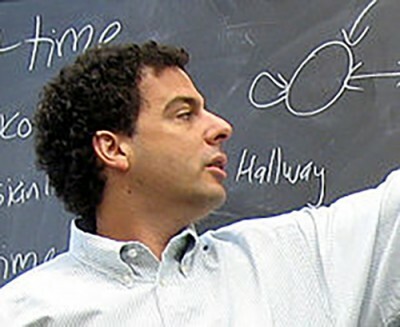 Today, the Archeological Oceanography, which he started in 2003 is a unique institute “combines the disciplines of oceanography, ocean engineering, maritime history, anthropology and archeology into one academic program.” The institute involves a broad cross section of URI faculty and includes faculty from Harvard University, the University of Pennsylvania, Florida State University, MIT and Woods Hole. He is the rockstar face of oceanography in the world. Nelson is one of America’s leading investors. In an era of Wall Street mega firms, Rhode Islander Nelson has built in Downtown Providence a $40 billion private equity fund Providence Equity Group. 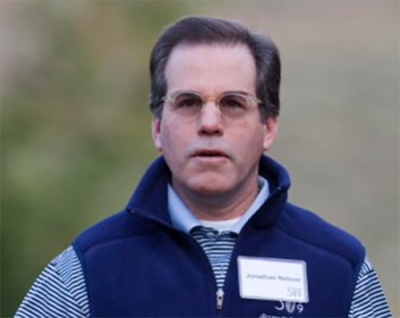 Once the golden boys of private equity and lauded for putting together “the biggest deal in the world,” he and the firm have had a series of set backs. The highest profile bump was the firm’s loss of nearly $800 million in the firm, Altegrity, that was contracted to review federal contractors like Edward Snowden. As GoLocal previously reported, the domino effect of Snowden’s absconding with federal data bases exposed the deficiencies of Altegrity’s vetting process. 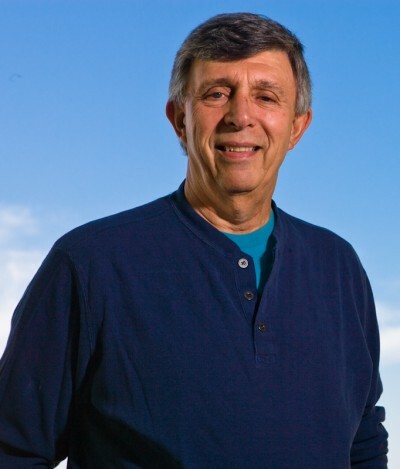 He has become more active as a philanthropist and is listed by Forbes richest in Rhode Island. Littky is a rebel, a disruptor, an innovator, a trouble maker, and an educator. They made a movie about him, Newsweek has featured his schools, President Obama talks about his schools and Bill and Melinda Gates gave him millions to grow, refine and scale is model of disruption. In 2009, Littky defied all and created an alternative college and by 2015 the Rhode Island Council on Postsecondary Education approved College Unbound as a degree-granting postsecondary option in the state. In Rhode Island, The Met School celebrated its 20th Anniversary this past week. Thousands of students who would not have finished high school have graduated and moved on to college, business and beyond. 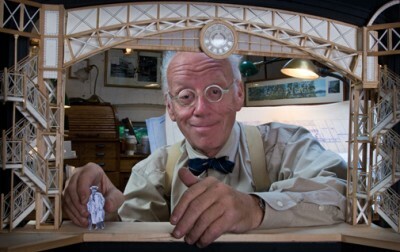 There may be no more accomplished innovator than Littky. Bill and David Belisle may be the best high school and youth coaches in history. Going by the statistics, the record of twenty-six consecutive state hockey championship (1978 to 2003) and a total of 32 may be a record never to be matched. Bill Belisle (the father) has coached at Mount for 42 years and his son David has been his assistant for years. The younger Belisle made national headlines with his post game speech to the Little League team he was coaching was defeated in the Little League World Series. Twice their players have been selected #1 in the NHL Draft, countless others played in the NHL, and dozens played college hockey. There are movies and books on the exploits of Mount Hockey under the Belisles. There are few people in the world that are recognized as the very best in their craft, but Nick Benson of the John Stevens Shop in Newport is globally recognized as the best stone cutter in the world. 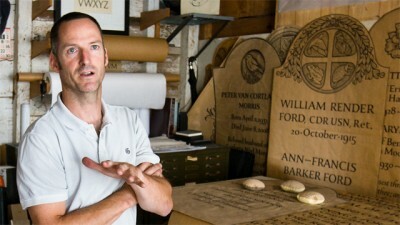 Founded in 1705, The John Stevens Shop specializes in the design and execution of one-of-a-kind inscriptions in stone — the MLK Memorial, FDR’s Four Freedoms Park, and the inscription for the John F. Kennedy Memorial in Arlington National Cemetery, to name a few. Benson won a Genius Fellowship from the MacArthur Foundation, and was recently featured on CBS news. The John Stevens Shop is one of America’s longest continuously running businesses. 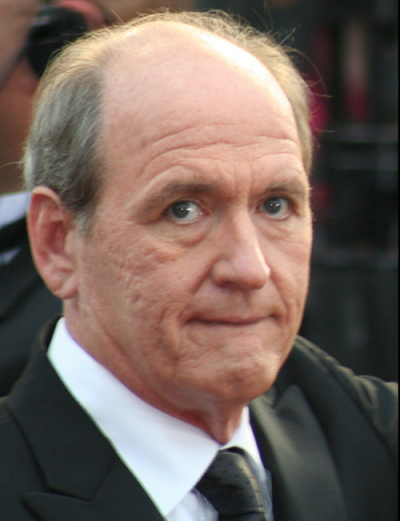 Davis is one of the most accomplished actors in the United States. 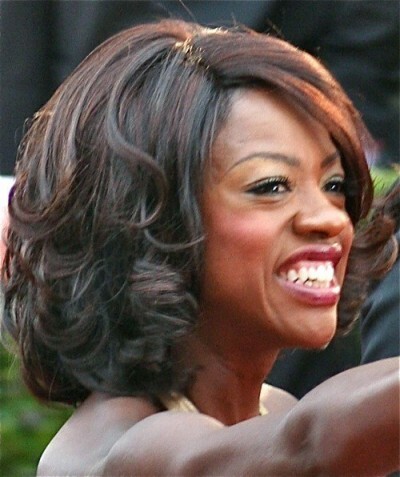 She is the winner of two Tony awards, an Emmy and a SAG award as well as being nominated for an Oscar. With regards to her Emmy, she became the first African-American to win the Award for Outstanding Lead Actress in a Drama Series in 2015. Amazingly, she did not earn her SAG card until she was 30 years old. Davis self-describes that she grew up in abject poverty in Central Falls and worked her way to Rhode Island College and now beyond but has been a constant force in helping Central Falls to recover from its bankruptcy and rebuilding its spirit. She is a leading fundraiser for a range of Rhode Island causes. Davis is the embodiment of the Rhode Island spirit and a model of how to overcome the greatest challenges to reach greatness. Robert Whitcomb: Revolutionary Pawtucket? Higher Taxes to Pay for Being a Sanctuary City? News Analysis: Can Trump Destroy Obama’s Legacy? With a flourish, Mr. Trump has staged signing ceremonies meant to show him tearing down. Not only did he pull out of the Trans-Pacific Partnership trade deal and the Paris climate accord, he approved the Keystone XL pipeline Mr. Obama had rejected and began reversing his fuel-efficiency standards and power plant emissions limits. Not only is he trying to repeal Obamacare, he has pledged to revoke regulations on Wall Street adopted after the financial crash of 2008. Still, he has not gone as far as threatened. He has for now kept Mr. Obama’s nuclear agreement with Iran, however reluctantly, and while he made a show of overturning Mr. Obama on Cuba, the fine print left much of the policy intact. He did not rescind Mr. Obama’s order sparing younger illegal immigrants from deportation. Senate Republicans released a new version of legislation to repeal and replace Obamacare in recent days, but it may yet end in impasse, leaving the program in place. Advisers insist Mr. Trump is not driven by a desire to unravel the Obama presidency. But like the Manhattan real estate developer he is, they said, he believes he must in some cases demolish the old to make way for the new. Critics say Mr. Obama brought this on himself. His biggest legislative achievements were passed almost exclusively with Democratic votes, meaning there was no bipartisan consensus that would outlast his presidency. 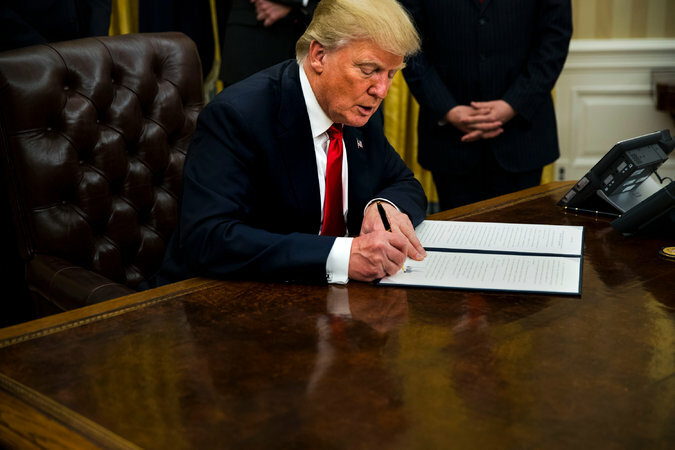 And when Republicans captured Congress, he turned to a strategy he called the pen and the phone, signing executive orders that could be easily erased by the next president. Mr. Obama would argue he had little choice because of Republican obstructionism. Either way, he has largely remained quiet through the current demolition project, reasoning that speaking out would only give Mr. Trump the public enemy he seems to crave. 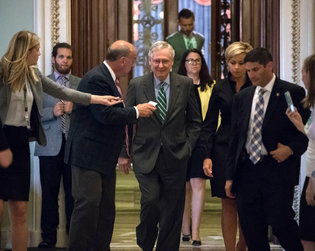 He made an exception on Thursday, taking to Facebook to assail the new Senate health care bill as “a massive transfer of wealth from middle class and poor families to the richest people in America.” But Mr. Obama’s team takes solace in the belief that Mr. Trump is his own worst enemy, better at bluster than actually following through. Other Obama veterans said much of what Mr. Trump has done was either less dramatic than it appeared or reversible. He did not actually break relations with Cuba, for instance. It will take years to actually withdraw from the Paris accord, and the next president could rejoin. The real impact, they argued, was to America’s international reputation. Mr. Trump, of course, is hardly the first president to scorn his predecessor’s tenure. George W. Bush was so intent on doing the opposite of whatever Bill Clinton had done that his approach was called “ABC” — Anything but Clinton. Mr. Obama spent years blaming his predecessor for economic and national security setbacks — blame that supporters considered justified and that Mr. Bush’s team considered old-fashioned buck passing. The most tangible example is an order signed by Ronald Reagan barring taxpayer financing for international family planning organizations that provide abortion counseling. Mr. Clinton rescinded it when he came into office. Mr. Bush restored it, Mr. Obama overturned it again and Mr. Trump restored it again. Even so, neither Mr. Bush nor Mr. Obama invested much effort in deconstructing programs left behind. Mr. Bush kept Mr. Clinton’s health care program for lower-income children, his revamped welfare system and his AmeriCorps service organization. Mr. Obama undid much of Mr. Bush’s No Child Left Behind education program, but kept his Medicare prescription medicine program, his AIDS-fighting program and most of his counterterrorism apparatus. That was in keeping with a longer tradition. Dwight D. Eisenhower did not unravel Franklin D. Roosevelt’s New Deal, nor did Richard M. Nixon dismantle Lyndon B. Johnson’s Great Society. Mr. Reagan promised to eliminate the departments of Education and Energy, created by Jimmy Carter, but ultimately did not. Indeed, when it comes time to tally the record for the history books, Mr. Trump can hardly reverse some of Mr. Obama’s most important achievements, like pulling the economy back from the abyss of a deep recession, rescuing the auto industry and authorizing the commando raid that killed Osama bin Laden. Nor can Mr. Trump take away what will surely be the first line in Mr. Obama’s obituary, his barrier-shattering election as the first African-American president. Conversely, Mr. Obama owns his failures regardless of Mr. Trump’s actions. History’s judgment of his handling of the civil war in Syria or the messy aftermath of the intervention in Libya or the economic inequality he left behind will not depend on his successor. If anything, America’s decision to replace Mr. Obama with someone as radically different as Mr. Trump may be taken as evidence of Mr. Obama’s inability to build sustained public support for his agenda or to mitigate the polarization of the country. But legacies are funny things. Presidents are sometimes defined because their successors are so different. Mr. Obama today is more popular than he was during most of his presidency, likely a result of the contrast with Mr. Trump, who is the most unpopular president this early in his tenure in the history of polling. By this argument, even if Mr. Trump does disassemble the Obama legacy, it may redound to his predecessor’s historical benefit. Richard Norton Smith, who has directed the libraries of four Republican presidents, said presidents are often credited with paving the way toward goals that may elude them during their tenure. Harry S. Truman is called the father of Medicare even though it was not achieved until Johnson’s presidency. Mr. Bush is remembered for pushing for immigration reform even though Congress rebuffed him. But that may not be all that comforting to Mr. Obama. Presidents prefer memorials to their lasting accomplishments, not their most fleeting. With Summer at the Plaza there’s something for the movie junkie, the foodie and the music lover. This year the performance lineup includes a Grammy Award-winning band along with some locally popular groups. Soul Asylum, the Charlie Daniels Band, Jody Watley and Shalamar Reloaded are among some of the most famous groups headed to the Empire State Plaza, with local bands like the Rechorduroys taking the stage as well. Beyond live performances, Summer at the Plaza offers a handful of events including the New York State Food Festival, the Black Arts and Culture Festival, movie nights, a Kids Day and a Fourth of July celebration. Freddie McGregor, a Grammy-nominated artist, will be bringing soul-style reggae music to the Plaza. He’ll be playing some of his top songs like “Push Come to Shove,” “Africa Here I Come,” “I Was Born A Winner,” “Guantanamera,” “Big Ship, Lock Dem’ Down,” and “Bangarang,” among others. Every year, over 20,000 people head out to the Plaza for the July 4th Celebration. There’s a naturalization ceremony, a fireworks show, food and craft vendors and a full lineup of live evening entertainment. The United States Air Force Heritage of America Band will be performing this year. According to New York State, the band has been representing the Air Force for 75 years. The Canadian rock and roll band will be heading to the Plaza and will be featuring their latest album, “Terraform.” The Rechorduroys, an alternative rock band, are set to open. Charles Bradley is set to bring a bit of soul to the concert series. Since his 2011 debut album, “No Times for Dreaming,” Bradley has been known for his riveting live performances at Coachella, Glastonbury Festival and others. The Black Arts and Cultural Festival will feature a live performance by Jody Watley and Shalamar Reloaded, among a kid-zone and plenty of family-friendly activities. Watley and Shalamar bring a mix of soul, funk, R&B and pop to the stage. Come hungry. The Festival offers over 100 food vendors, including NYS producers and beer brewers. The Charlie Daniels Band will be bringing its Southern rock anthems and gospel music to the stage for a live performance. See the 1948 classic Key Largo starring Lauren Bacall, Henry Bogart, Lionel Barrymore. The Plaza brings Alfred Hitchcock’s Rear Window, starting Grace Kelly, Thelma Ritter and Wendell Corey, back to the screen. The classic kid’s movie Annie, starring Aileen Quinn, will be finishing off the movie portion of Summer at the Plaza. In a new addition to the Summer at the Plaza series, Alex Torres will be bringing his blend of Afro-Caribbean rhythms such as Salsa, Merengue, Cha-cha, Bomba, Plena, and Latin jazz to the stage. The Hot Club of Saratoga will be bringing its gypsy swing sound to the Plaza. With music from the 1930s to today, the Club will offer up a vibrant repertoire. As a part of Hispanic Heritage Month, this celebration will include live music, dance, food and family friendly activities to bring the Hispanic community together. Letter to the editor: Group paranoia or true observation? 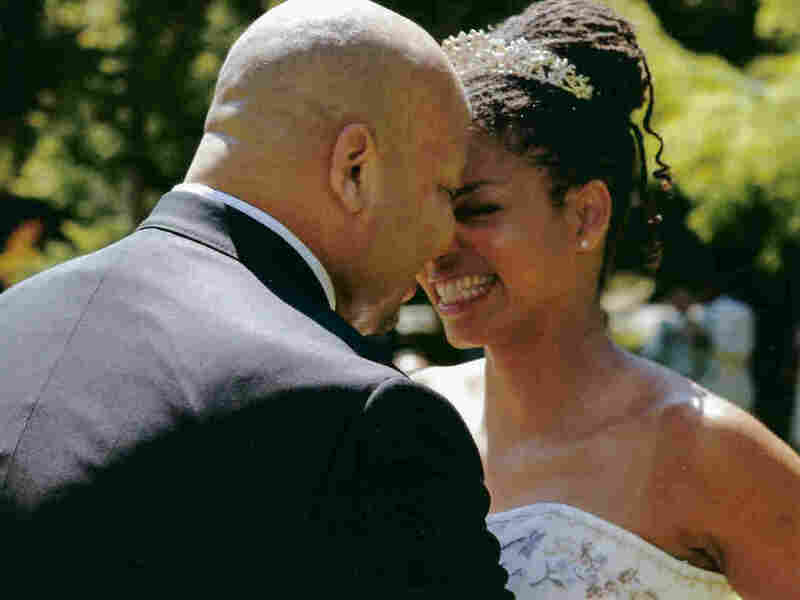 Dr. Vanessa Grubbs and Robert Phillips at their wedding in August 2005. Just a few months earlier, when his kidneys were failing, she gave him one of hers. 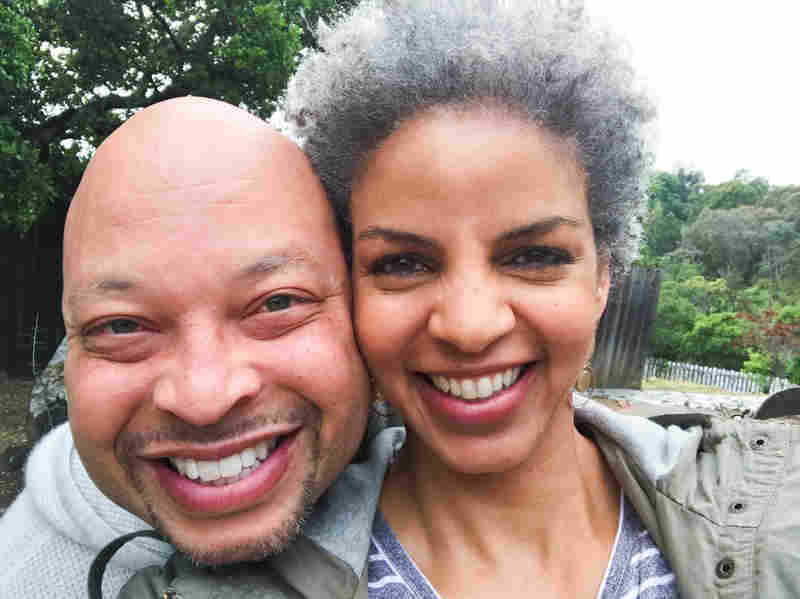 While she was a primary care doctor in Oakland, Calif., Dr. Vanessa Grubbs fell in love with a man who had been living with kidney disease since he was a teenager. Their relationship brought Grubbs face to face with the dilemmas of kidney transplantation — and the racial biases she found to be embedded in the way donated kidneys are allocated. Robert Phillips, who eventually became her husband, had waited years for a transplant; Grubbs ended up donating one of her own kidneys to him. And along the way she found a new calling as a nephrologist — a kidney doctor. 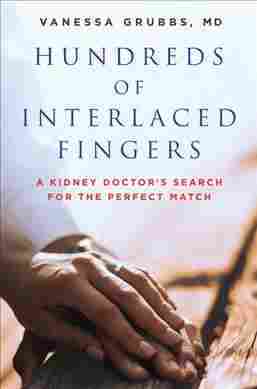 Her candid new memoir, Hundreds of Interlaced Fingers: A Kidney Doctor’s Search for the Perfect Match, explores her personal story and some troubling statistics. Roughly 1 in 3 of the candidates awaiting kidney transplants are African American, Grubbs learned, but they receive only about 1 in 5 of all donated kidneys. White people account for about a third of the candidates awaiting kidney transplants, but they receive every other donated kidney. Grubbs writes of accompanying Phillips in 2004 to meet with members of the transplantation team — including a doctor, a nurse and a financial counselor — for a routine evaluation and update. After being on the waiting list for a kidney for five years, he had neared the top of the list. Dr. Vanessa Grubbs was a primary care doctor when she met Robert Phillips. She says seeing how difficult life can be for people with chronic kidney disease was part of what led her to further specialize in nephrology. Grubbs, now a nephrologist at the Zuckerberg San Francisco General Hospital, and assistant professor at the University of California, San Francisco, recently sat down to talk about her experience with NPR. One of the things you write about in the book is that your colleagues did not appreciate that you published a piece in a health policy magazine — Health Affairs — [detailing the inequities in transplantation]. It was called “Good for Harvest, Bad for Planting.” In fact, you got a lot of blowback that you were not expecting. You know, I’m from a tiny little town in North Carolina, so maybe I was a bit naïve. Because I honestly thought that people would read this piece from a doctor being surprised at how the system was set up, and that they would take a look at it and be reflective and think about what they might be able to do to make the system at least seem more equitable to people on the outside. But clearly that was a naïve thought, because what ended up happening was that people who were very close to the issue became very angry, and they took it personally. 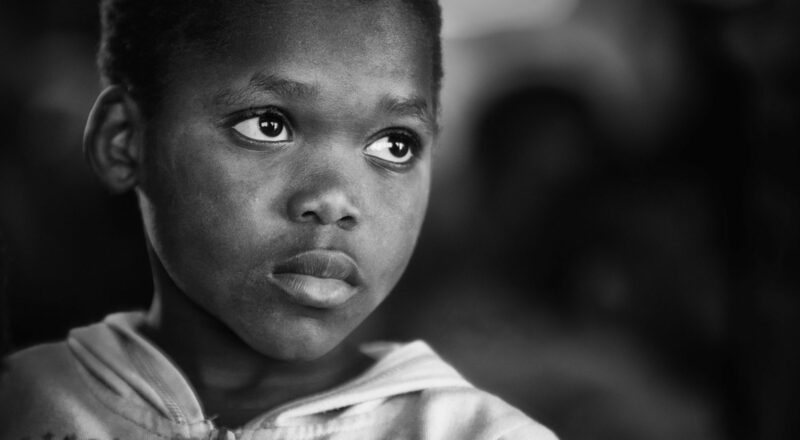 Many doctors can acknowledge that there are race disparities in health care, that people of color do worse across many areas than white people. But I think most of us tend to think that somebody else is responsible for it. So for them, it meant that I was pointing the finger at them. And I think the unfortunate thing that we tend to do is, when we are associated with a bad thing, we spend our time trying to disassociate ourselves from that bad thing, rather than spending our energy in acknowledging that this is a bad thing and we should all work together to try to make it better. And then, you go down the list of common assumptions, and you prove that they are not true. For example, you say it is an assumption that African Americans or blacks don’t donate enough organs. That’s not true. And you also say that even if that were true, anti-rejection drugs are now so effective that gene matching hasn’t been recommended [for transplanted kidneys] since 2002. So what is the deal? Why is it that African Americans are, as you put it, “good for harvest but not for planting?” What conclusion did you come to? In addition to being inspired to be Robert’s donor, eventually I decided to become a nephrologist — really in an effort to do something for everyone else … to try to do research into the area. And being in nephrology really opened my eyes to just how big the problem is throughout the system. The problems starts way before a person gets to transplant. For example, people have to know that they have kidney disease. We know for a fact that most people aren’t aware that they have kidney disease. From there, you have to be in the care of a nephrologist. You can’t get to even the evaluation unless a nephrologist refers you, and you have health insurance that will pay for the evaluation. Well — spoiler alert — you and your guy Robert are still together? He’s doing really well. We celebrated our 12th transplant anniversary in April and we celebrate our 12th wedding anniversary in August. Radio editors Jennifer Liberto and Ammad Omar, radio producer Denise Guerra, digital producer Nicole Cohen and science desk intern Courtney Columbus contributed to this story. 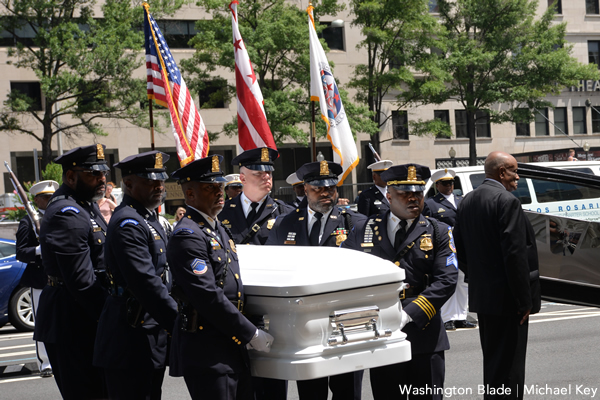 Members of a D.C. Police and Fire Department honor guard carried a white coffin bearing the body of gay former Council member Jim Graham into the John A. Wilson Building just before noon on Friday as part of a ceremony honoring Graham’s years of service as a Council member and advocate for many of the city’s diverse communities. Mayor Muriel Bowser, Council Chair Phil Mendelson and many current and former Council members stood at the top of the steps of the main entrance of the Wilson Building, which serves as D.C.’s City Hall, to greet a procession bearing the coffin and Graham’s friends and family members. The grand entrance marked the start of a ceremony in which Bowser, Mendelson and others who knew Graham during his 16 years on the Council spoke of what they called Graham’s dedication and outspoken advocacy for city residents who often were overlooked and in need of city services. Graham died on June 11 at George Washington University Hospital of complications associated with an intestinal infection. He was 71. Graham’s coffin lay in state in the Wilson Building entrance foyer for five hours on Friday as city officials, former staff members and members of the communities for whom he advocated, including a large contingent of LGBT activists and LGBT friends, walked past the coffin to pay their respects. 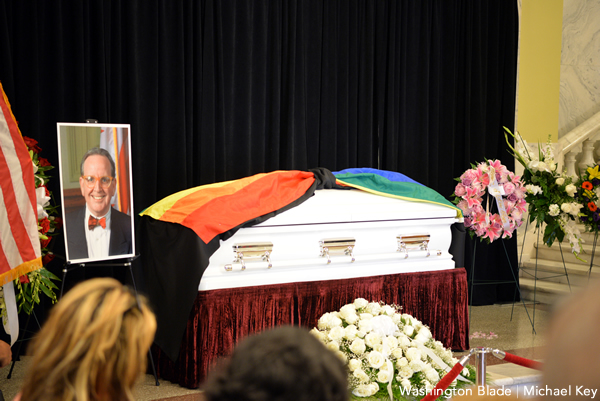 In a gesture considered appropriate by those who knew Graham, his former Council staff members arranged for a rainbow flag configured into a giant bow tie to be placed over the coffin. “As we were thinking about all of the different cultures that Jim touched, of course the primary one was the gay community because that’s where he came from,” said Calvin Woodland, Jr., who served as chief of staff for Graham’s Council office. Woodland said that although everyone knows of Graham’s advocacy for the LGBT community, his staff and many of his Ward 1 constituents know Graham also was a strong advocate for other constituencies, including the African American, Asian and Latino communities. In her remarks at the ceremony, Bowser noted that Graham welcomed her into the fold of the Council when she was first elected as a Ward 4 Council member. She said she quickly observed Graham’s dedication to his constituents and to providing constituent services, especially for the poor and for tenants, for whom Bowser said Graham emerged as a champion. Mendelson noted that he and Graham both won election to the Council for the first time in 1998. “It’s clear from the turnout today that he touched a lot of people,” Mendelson said. “He took pride in his work representing Ward 1. Among those attending the Wilson Building ceremony was gay former D.C. Council member David Catania, who became the first openly gay person to win a seat on the Council. Graham won election to the Council as an openly gay candidate one year after Catania won his race for an at-large Council seat. Jackie Reyes, who served as director of Latino affairs for Graham’s Council office, said Graham became a beloved figure among the large number of Latino immigrants who live in Ward 1. She noted that to become better informed about the needs and problems faced by Latino immigrants Graham traveled to Latin American, including El Salvador, where Reyes is from, to see firsthand the circumstances that prompt so many people to immigrate to the U.S.
Others who attended the memorial ceremony were former mayor and current Ward 7 Council member Vincent Gray; and former Council members Vincent Orange, Yvette Alexander, Carol Schwartz and Michael A. Brown. Another one of Graham’s Council chiefs of staff, Teddy Loza, delivered an emotional eulogy telling how Graham became a mentor and close friend to him and his family. Loza’s daughter, Mayari Loza Munoz, sang the hymn Amazing Grace at the ceremony. Also attending the ceremony was Don Blanchon, the current executive director of Whitman-Walker Health, which was known as Whitman-Walker Clinic during the time Graham served as its executive director from 1984 to 1999. Blanchon said Graham’s leadership of Whitman-Walker during the early years of the AIDS epidemic set the standard for both health care and advocacy for people with HIV AIDS in D.C. and throughout the country. A funeral service was scheduled to take place for Graham at noon on Saturday, June 24, at All Souls Unitarian Church at 16th and Harvard Streets, N.W. A viewing was scheduled to take place at the church from 10 a.m. to noon prior to the start of the service. 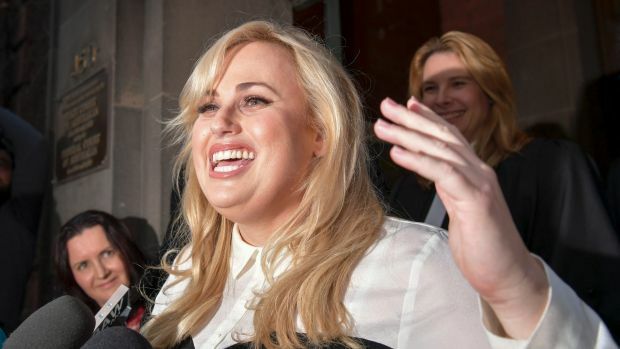 The bonhomie wrapped around Rebel Wilson when she emerged victorious in her legal battle with those naughty women’s magazines has been truly something to behold. It was the sort of endorsement that would melt any celebrity’s heart. Crowe is a man well-versed in the black arts of gossip magazines, having had every detail of his life, from his romance to his marital woes and hotel lobby temper tantrums, documented for the past couple of decades. And to be fair, out of all the stars who jumped on the social media bandwagon to publicly declare their support and congratulate Wilson, Crowe’s message arguably carried the most gravitas. Crowe has not been the sort of celebrity to offer up morsels of his private life in return for a fat cheque from a glossy mag. However, we can only wonder where his career would be if it wasn’t for magazines like Woman’s Day documenting his life in such detail, and helping to cement his star status. Presumably that same magazine wasn’t such a “disgrace” back in 2012 when it handed over a rumoured $150,000 payment to Warne and his then fiancee Elizabeth Hurley when the former couple did their first magazine shoot and interview with Woman’s Day and British magazine Hello! Of course, Warne and Woman’s Day have a long history, and not all of it happy or quite so profitable. Warne’s ex-wife Simone Callahan has featured prominently several times in the magazine over the years in return for hefty payment. Lleyton Hewitt was also quick to express his congratulations to Wilson, who told the Victorian Supreme Court she found herself out of work in Hollywood and out of pocket – to the tune of about $6 million – thanks to a series of defamatory articles published in Woman’s Day back in 2015. And it cannot be forgotten that both Hewitt and his wife, the former television starlet known as Bec Cartwright, were hotter than hot about a decade ago when it came to women’s magazines. When their romance turned into an engagement and ultimately a lavish wedding, it generated hundreds of thousands of dollars in exclusive media deals for the couple from both Woman’s Day and its arch-rival, New Idea. They also sold exclusive media access to the births of their children, though PS understands their most recent baby news didn’t fare quite so well in terms of dollar value. For decades, celebrity agents and managers have been working the phones with the people who put magazines like Woman’s Day together, wrangling deals and exclusive access for some of the most personal and normally private moments of an individual’s life, in return for a cheque with lots of zeroes on it. Those righteous celebrities so quick to applaud Wilson don’t seem quite so righteous when they’re only prepared to talk in return for dollars.